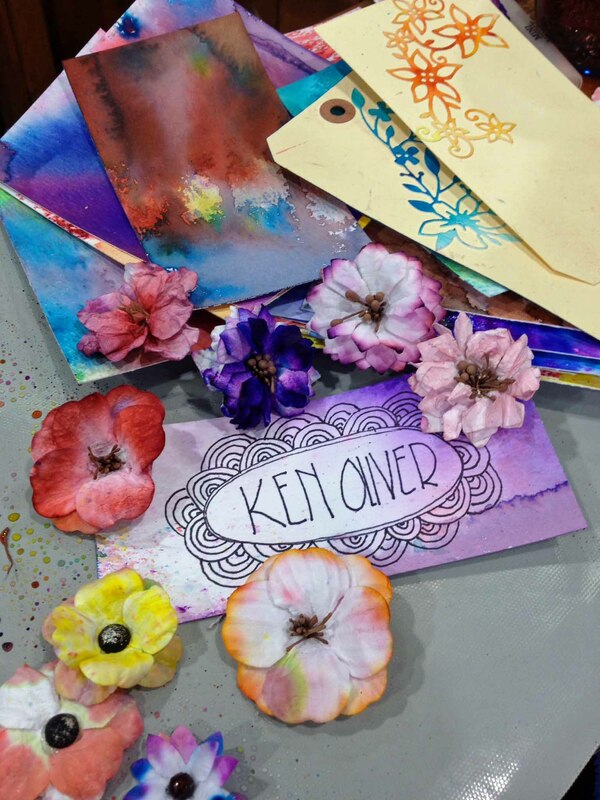 Another crafting star was born at the Craft & Hobby Association Show … Ken Oliver. 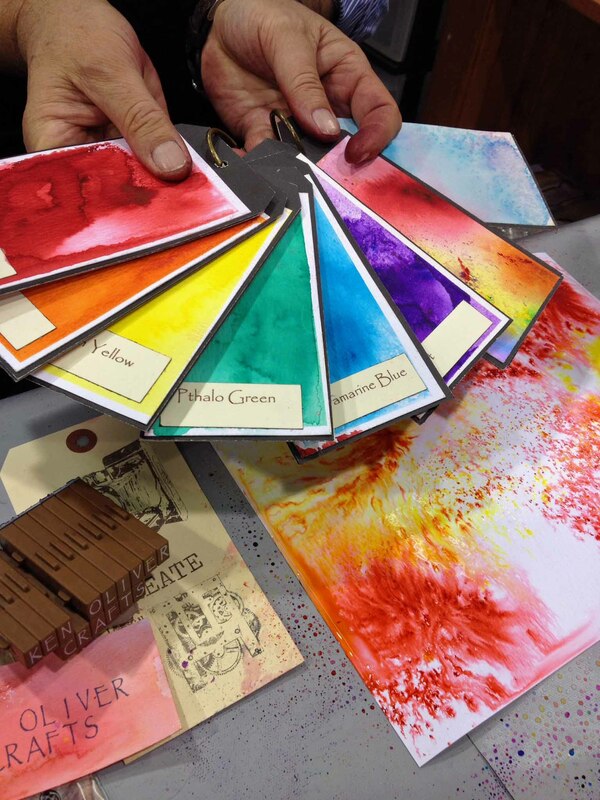 It was Ken’s first time starring in his own booth, and he did it with flair, introducing several cool new products, including coloring agents, papers and stamps. Let’s start with his exciting Color Burst color treatment. Color Burst is a concentrated watercolor product in a powder form. To use it, first spritz your watercolor paper with water. 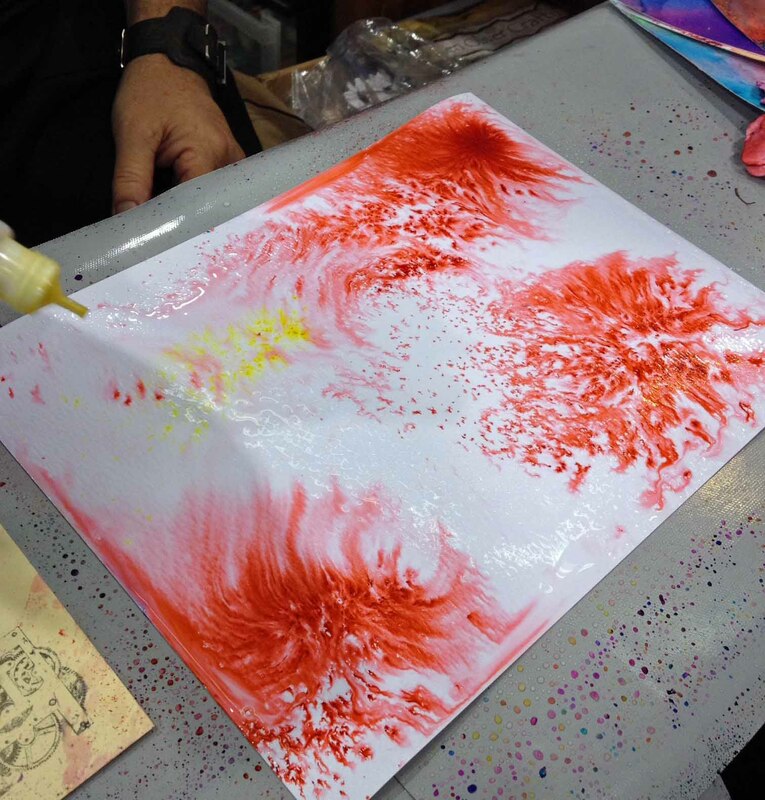 Then squeeze the Color Burst bottle to spray out the colored powders. The powder reacts with the water and … POW! Bursts of color! 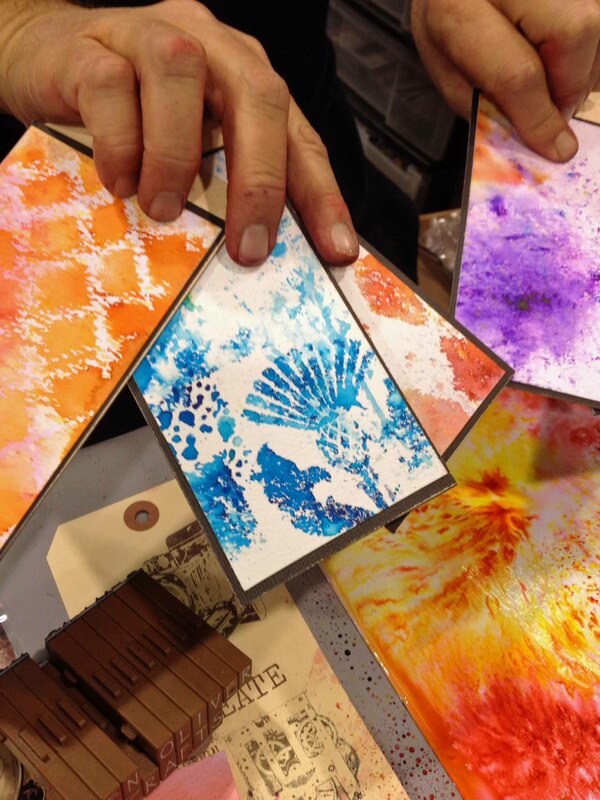 You can use Color Burst with stencils, over an embossed or wax resist, etc. You can spray more water to help blend the colors, move the color around with a brush or even a heat tool, and more. The vibrant colors make fast, easy, beautiful backgrounds and designs. As Ken says, “just sprinkle and spritz.” Color Burst will be available by mid-March. Ken also introduced his Click It ink pad, a retractable, pivoting 1 x 1 inch raised dye ink pad. 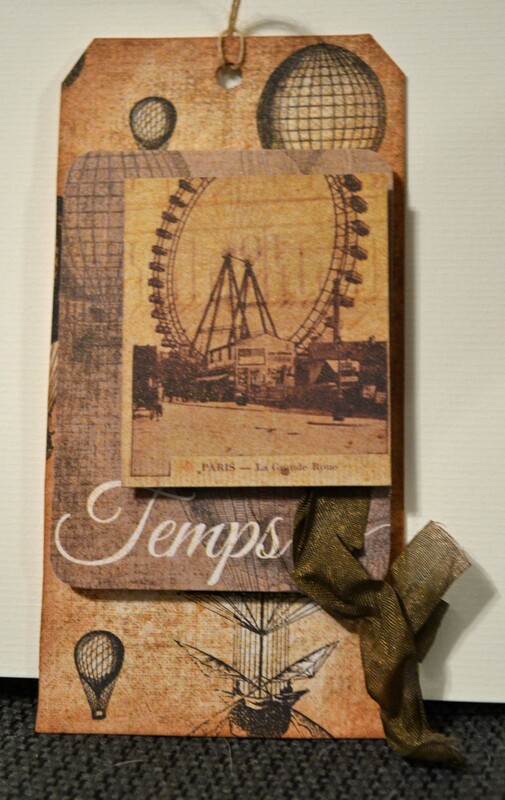 The velveteen pad gives a great color application whether you are stamping an image or edging a tag. It’s compact and I love the hangable chain that is attached. Then there’s Stick It, a thin, dry adhesive specially formulated for use in intricate die cutting. When you first lay it down, Stick It is repositionable, giving you some sticky wiggle room. After a while, it becomes permanent. 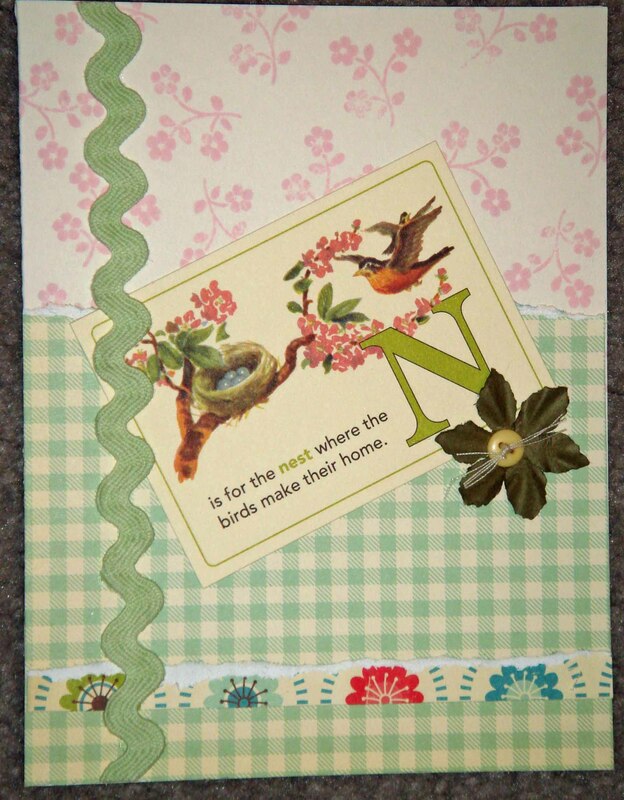 You apply Stick It to your cardstock before die cutting, then just peel off the liner after it is cut. As for stamps and paper … Ken has definitely mined his small town roots. His Hometown images are vintage, nostalgic and beautiful, whether on paper or stamps. Paper designs include the Studio Collection (a soft, more colorful vintage feel), Watercolored Memories (vibrant botanical prints) and Pitter Patterns (geometrics.) I’m hoping to play with these soon! Check out Ken’s blog at www.kensworldinprogress.com. His products are being distributed through Product Performers. Here’s a short, but sweet, post. Yes, it’s taken me more than two weeks to sift through all my notes from the Craft & Hobby Association Mega Show! But now I’m ready to share some of the goodies I’ve found. 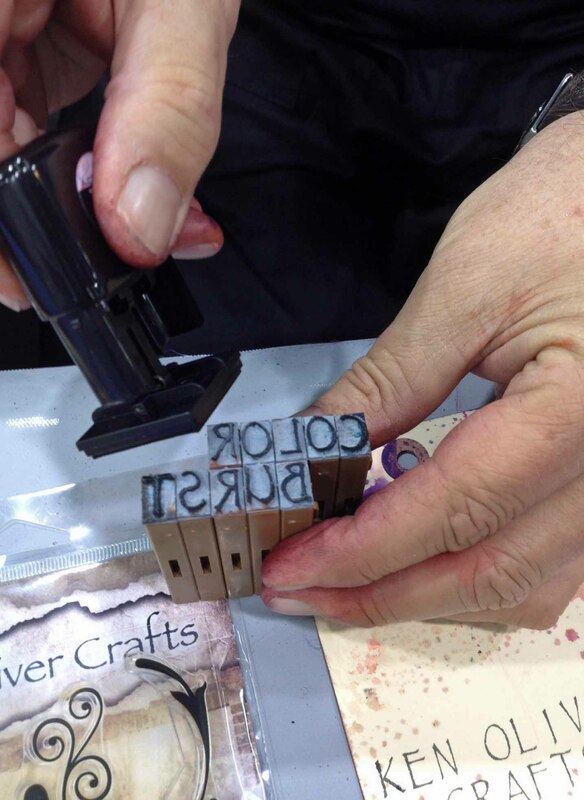 The tag was made during a fast make-and-take at the Prima booth. The papers are from the lovely Cartographer collection. The ribbon is spritzed with Prima’s Color Bloom spray. 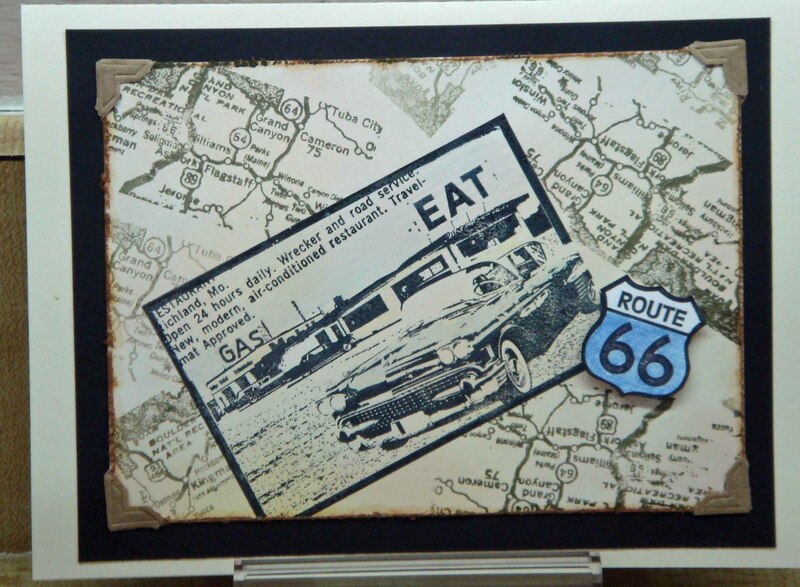 Doesn’t this image remind you of road trips with the family? (“Mom, he’s touching me….” “I’m thirsty…” “Do I have to turn this car around?”) All images are from Artistic Outpost. The focal image (the car) was stamped first, then masked. Then the map was stamped in brown Distress ink. The edge of the card was distressed, inked, then slipped into photo corners. 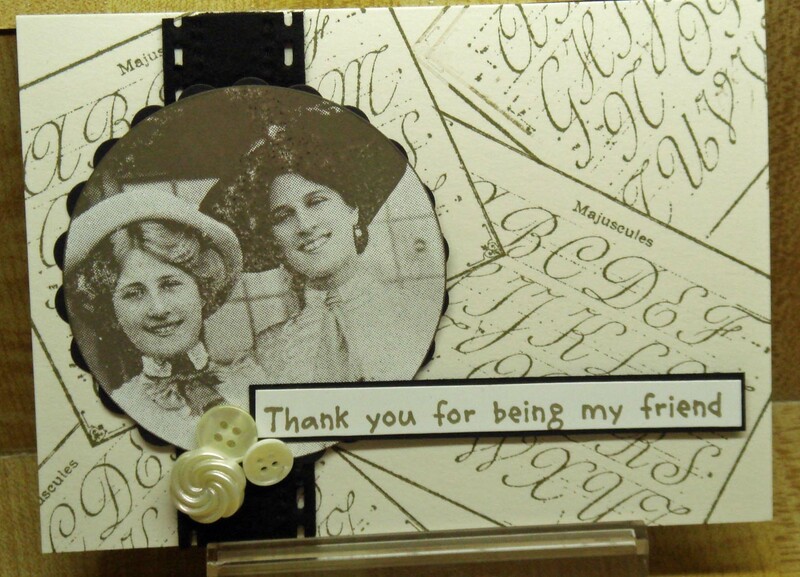 The background image for “Friends” is from Alpha Stamps, the “sisters” image is from The Stampsmith, the fun film strip felt is from Creative Imaginations, the saying from Hero Arts, and the buttons are just random. The plain and scalloped circles are cut using Spellbinders Nestabilities. 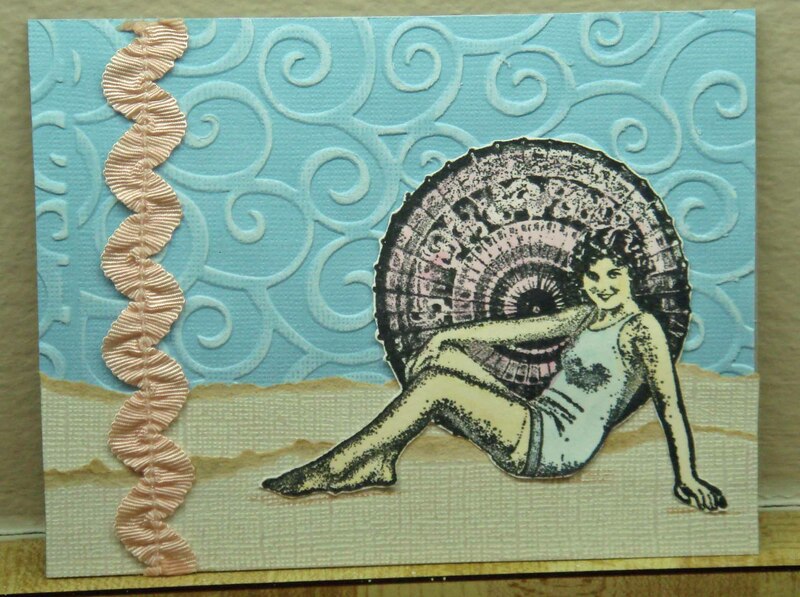 I’ve had this bathing beauty (A Tin Can Mail stamp from Inkadinkado) in my collection for ages — love her, but hardly ever use her. Until now! This was such a fun card to put together. She was stamped first on white scrap stock then cut out and painted using watercolor pencils. The “sand” is a piece of textured card stock from Core’dinations. Don’t you just love the darker “core” color peeking through? The paper was lightly sanded to bring out even more texture. The blue sky is also from Core’dinations, run through a Cuttlebug embossing folder (on my good ol’ Sizzix Big Kick) and sanded to bring out the other shade. The ribbon is from Maya Road. Yum. 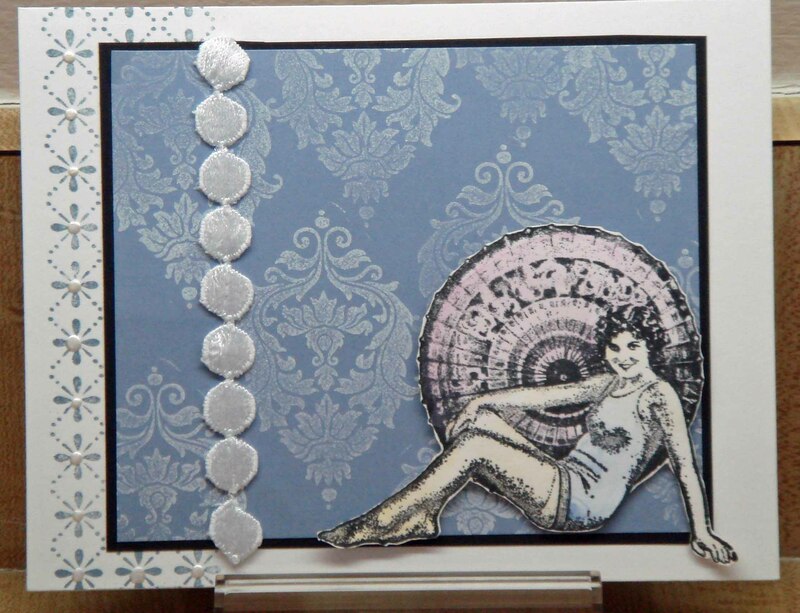 The flower background (dotted with Perfect Pearls) is from Hero Arts, the damask image (stamped in white on blue) is from Judikins and the ribbony thing is from Making Memories. I’m probably the last kid on the block to discover the fabulous papers of October Afternoon. These vintage-look papers are full of wonderful colors and designs — even the names are cute: Good Junk, Needs Paint, Ice Cream, Strawberry Jam, Picnic Table, etc. Won’t this be a great card to welcome a new baby? The paper (including the tiny scrap on the lower half! ), alphabet card and even the tiny flower stamp are all from October Afternoon. The flower is from Prima and the rick rack is from Making Memories. 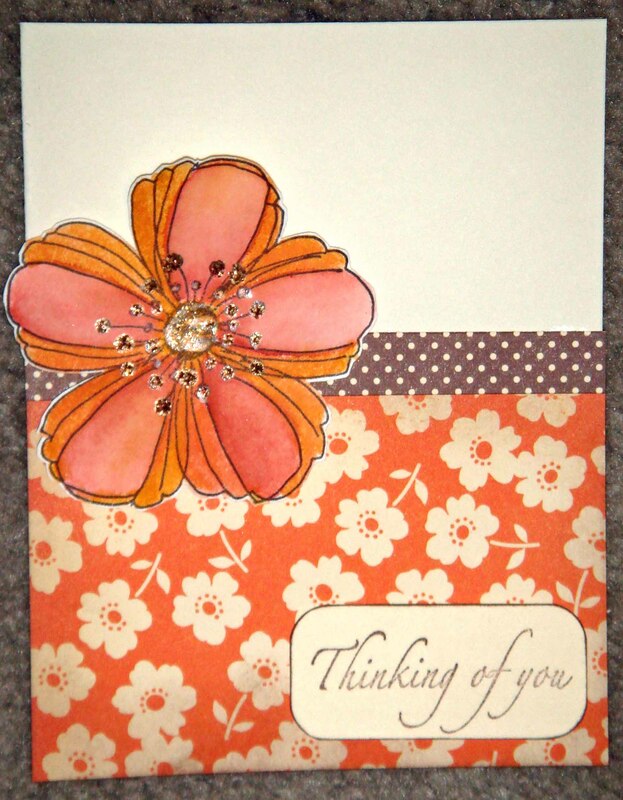 The bottom paper is from the Fly A Kite collection, the flower is from Stampendous! and colored with watercolor pencils, then blended. There’s a dash of Ranger Stickles on the flower and I edged the paper with brown ink to make it more vintage. The sentiment is an oldie from Rubber Stampede.